Martha C. Pennington (Ph.D. Linguistics, University of Pennsylvania) holds positions at the University of London as Professorial Research Associate in Linguistics, School for Oriental and African Studies, and Research Fellow in Applied Linguistics and Communication, Birkbeck College. Professor Pennington is the founding editor of the journal, Writing & Pedagogy (Equinox), and the editor of two book series, Frameworks for Writing (Equinox) and Innovation and Leadership in English Language Teaching (Brill). She has published 15 books and over 200 articles in edited collections and journals including TESOL Quarterly, Modern Language Journal, System, Journal of Second Language Writing, Language and Education, Language Culture and Curriculum, Computers and Composition, Computer Assisted Language Learning, RELC Journal, and World Englishes. Pauline Burton is a Senior Lecturer at the Community College of City University, Hong Kong. She co-edited Bilingual Women: Anthropological Approaches to Second Language Use (Berg) and complements her academic profile with a background in creative writing, acting, and radio performance. Every writing teacher needs a toolkit of good lesson plans and inspiring assignments. The College Writing Toolkit is just such a practical resource, offering practical tools for both new and experienced teachers seeking to expand their professional repertoire. The College Writing Toolkit provides a collection of “tried and tested” methods and techniques for eliciting and working on students’ writing in a college or university environment. Contributors from all over the world reflect on best practices for teaching writing and for generating writing assignments that help college or university students to learn and to express themselves with confidence, clarity, and originality and in a range of genres. Each contribution is written in a format specifying the theoretical and conceptual framework of the pedagogical activity, its purpose, audience, and intended outcomes. Contributors also describe the situations in which the activity has been tried, what the results have been, and how the activity has been modified accordingly. An important aspect of the descriptions is the contributors’ reflections on the value of the activity and their recommendations for applying it for best results in the same and different types of contexts, such as for different types of institutions and audiences of students. Those who incorporate the practices of The College Writing Toolkit in their own teaching can therefore benefit from another practitioner’s understanding and experience gained from refining an activity over time to enhance its effectiveness. College and university writing teachers can use and creatively adapt these activities to help their students improve their writing process, use writing as a mode of thought and reflection, master writing genres, and write effectively in their course assignments. The College Writing Toolkit is a resource for both novice and experienced writing teachers looking to try something different or new in their classes with a knowledge of a previous context in which it has been successful. By using the practical tools in The College Writing Toolkit, college/university writing teachers can expand their repertoire while gaining experience that connects them to the practices of others in the field in the ongoing expansion and refinement of the tools of the writing trade. Every writing teacher needs a toolkit of good lesson plans and inspiring assignments. The College Writing Toolkit is just such a practical resource, offering practical tools for both new and experienced teachers seeking to expand their professional repertoire. 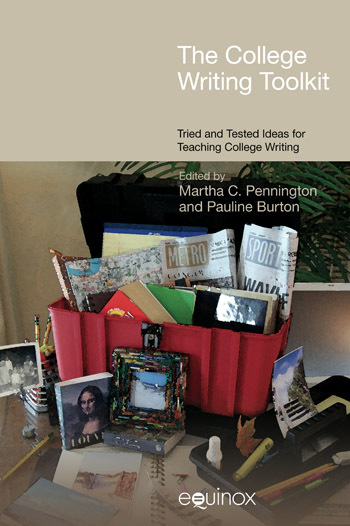 The College Writing Toolkit provides a collection of “tried and tested” methods and techniques for eliciting and working on students’ writing in a college or university environment. Contributors from all over the world reflect on best practices for teaching writing and for generating writing assignments that help college or university students to learn and to express themselves with confidence, clarity, and originality and in a range of genres. Each contribution is written in a format specifying the theoretical and conceptual framework of the pedagogical activity, its purpose, audience, and intended outcomes. Contributors also describe the situations in which the activity has been tried, what the results have been, and how the activity has been modified accordingly. An important aspect of the descriptions is the contributors’ reflections on the value of the activity and their recommendations for applying it for best results in the same and different types of contexts, such as for different types of institutions and audiences of students. Those who incorporate the practices of The College Writing Toolkit in their own teaching can therefore benefit from another practitioner’s understanding and experience gained from refining an activity over time to enhance its effectiveness. College and university writing teachers can use and creatively adapt these activities to help their students improve their writing process, use writing as a mode of thought and reflection, master writing genres, and write effectively in their course assignments. The College Writing Toolkit is a resource for both novice and experienced writing teachers looking to try something different or new in their classes with a knowledge of a previous context in which it has been successful. By using the practical tools in The College Writing Toolkit , college/university writing teachers can expand their repertoire while gaining experience that connects them to the practices of others in the field in the ongoing expansion and refinement of the tools of the writing trade. was published in Narrative Inquiry. Alongside her teaching and research, Archibald chairs the English Department and facilitates activities for faculty development at her university. In the first chapter, “The Personal Essay as a Tool to Teach Academic Writing,” Olivia Archibald considers how best to introduce first-year students to new forms of discourse and techniques of revision. She advocates the use of the personal essay as a tool to teach academic writing, arguing that classic essays by authors such as George Orwell and Annie Dillard can fruitfully be used to make students aware of and to learn to balance within their papers two essential components of academic writing: the “inner story” of evaluation and reflection, supported by the “outer story” of description. With a wealth of practical detail, Archibald describes a workshop sequence through which students draft and revise their own essays about an experience of personal transformation. Through this process, novice writers develop the rhetorical skills they need to make the subsequent transition to writing thesis-based argumentative papers, using Archibald’s “inner/outer” frame. Michelle Cox (PhD, University of New Hampshire) is an Assistant Professor of English and Writing Across the Curriculum Program Director at Bridgewater State University in Massachusetts, where she teaches second language sections of composition and a range of undergraduate and graduate writing workshops and seminars. Cox, who specialized in Composition Studies, has co-edited two collections on second language writing and has published other works in that area and on workplace writing and composition pedagogies. Katherine E. Tirabassi (PhD, University of New Hampshire) is an Assistant Professor of English and Coordinator of the Thinking and Writing Program at Keene State College, where she teaches composition/literacy theory and writing. She has published articles on archival research, composition pedagogy, and writing center theory/practice. Her dissertation, “Revisiting the ‘Current-Traditional Era’: Innovations in Writing Instruction at the University of New Hampshire, 1940–1949” received the 2008 CCCC (College Composition and Communication Conference) James Berlin Memorial Outstanding Dissertation Award. In “Snapshots of Our Literacies,” Michelle Cox and Katherine E. Tirabassi present a creative non-fiction writing project based on personal narratives that has been used successfully in the first five weeks of university writing courses in a variety of pedagogical settings, including English as a Second Language (ESL) classes. The students craft “snapshot essays” as brief descriptive narratives responding to writing prompts that are focused on writing, reading, discourse communities, and literacy. Through the process of drafting and feedback from peers and instructors, students build up their essay with the support of detailed instructions. This workshop based project, which was developed as a way to counteract students’ resistance to revision, also serves to move students away from the five-paragraph essay still mandated in many high schools in the United States, and (in the case of ESL classes) to go beyond the sentence-level focus of much second-language writing instruction. The students are thus socialized into the discourse of universitylevel writing while drawing on their own varied literacies to assist in the transition. Molly Hurley Moran (PhD, University of New Mexico) is a Professor of English in the Division of Academic Enhancement at the University of Georgia. Her publications include articles and chapters on writing, books on contemporary British novelists Margaret Drabble and Penelope Lively, and Finding Susan (Southern Illinois University Press, 2003), a memoir about the disappearance and murder of her sister, an experience which led to publications and workshops in the field of writing and healing. Molly Hurley Moran, in “Empowering Basic Writers Through ‘This I Believe’ Essays,” argues in favor of using personal writing as a pathway to academic writing, and discusses the difficulty of finding reading material that engages the interest of novice writers such as those in her first-year developmental classes yet which moves them beyond the narrow confines of five-paragraph essay models. Moran’s solution is to structure her semester-long basic writing course around National Public Radio’s “This I Believe” essays, which are inspirational short pieces written by anyone who wishes to speak about a deeply held belief. Moran recounts how she utilizes the print and audio-based versions of these essays to develop her students’ writing through cycles of reading, journaling with writing prompts, discussion, paper drafting, and feedback from herself and their peers. She discusses improvements that she has made to the course in the light of experience and suggests further applications for student writers at every level of these inspired and inspiring stimuli to writing. In her chapter, “Local Heroes, Local Voices”, Pauline Burton presents a first-year composition activity in which students read a variety of texts (fiction and non-fiction) about courage and discuss the nature of heroism, and then identify and select their own choice of “heroes” on the university campus and in surrounding communities. Students contact their potential interviewees to secure an interview, formulate the questions they plan to ask, and carry out background research. They then conduct and record the interviews, working in pairs, and later craft magazine articles from the interviews with a student audience in mind, representing the “voice” of their interviewees as faithfully as they can. Burton’s project is designed to engage first-year college/university students’ interest through a theme rooted in personal experience and to facilitate discovery of new understandings that they can gain through the process of research and writing. Martha C. Pennington, in “A Funny Thing Happened To Me: Introducing Oneself Through Humor,” uses the personal funny story as a means of creating a classroom writing community while introducing novice writers in an enjoyable way to peer work, drafting, and the requirements of writing. In a series of writing workshops, Pennington’s students read, critique, and write in response to a range of humorous texts, from the comic tales of classic writers such as Washington Irving to regional humor and different sub-genres of jokes. They describe and analyze their reactions to the humor in these texts and create funny stories of their own, drawing on personal experience. A particular aspect of the assignment is its requirement that students draw a moral or generalization from the story that they use to frame their story. 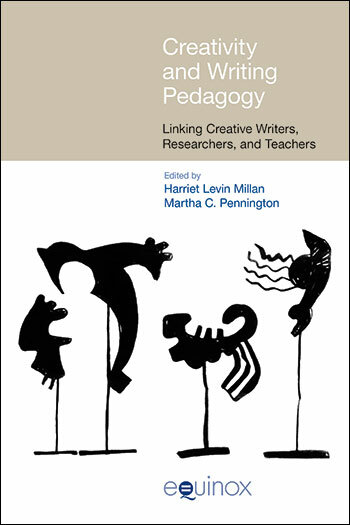 In the humanistic tradition of writing pedagogy, the activity described in this chapter privileges personal experience and the development of an individual voice, while also requiring a focus on narrative and on detailed and creative uses of language. Sara Hillin (PhD, Texas Woman’s University) is an Assistant Professor of Rhetoric and Composition at Lamar University in Beaumont, Texas. She teaches courses in first-year and advanced composition as well as pedagogy and American literature. Her research interests are classical rhetorical theory, composition pedagogy, feminist rhetorics and gender studies. Sara Hillin’s chapter, “The ‘Delayed Thesis’ Essay: Enhancing Rhetorical Sensitivity by Exploring Doubts and Refutations,” is based on teaching argumentation to advanced composition students, and, in particular, teaching rhetorical sensitivity and awareness of opposing points of view. The activity which Hillin uses to facilitate such awareness is a short “delayed thesis” essay, written as a preparatory exercise for a longer research-based paper. As Hillin points out, this is not simply a matter of changing the organization and moving the thesis to a later part of the essay. Her assignment requires the student writer to conceptualize opposing audiences and seriously discuss the claims such audiences might present before moving into counterclaims and refutation. The comments of Hillin’s students on the value of this exercise are illuminating, and it is worth considering how the activity could be adapted to less advanced classes to encourage all writing students to use doubting as a tool of persuasion. The value of a developed ability to explore doubts and refutations as a way to enhance rhetorical sensitivity not only inside but also outside the academy – from disputes between family members to international negotiation – can hardly be overestimated. Gita DasBender (PhD, New York University) is a Senior Faculty Associate in the Department of English at Seton Hall University, where she is Coordinator for Second Language Writing. Her research interests include second language writing, generation 1.5 students, creative non-fiction, and the essay. She has published on collaborative practices in the preparation of college teachers of writing and on critical thinking in college writing. She is currently Secretary-Treasurer of the New Jersey College English Association. In “Literature-with-Exposition: A Critical Thinking and Writing Assignment,” Gita DasBender writes from a teaching context with which some readers will be familiar: teaching composition as part of a university program in which literature is the primary focus. She argues that no kind of text should be excluded from writing instruction; rather, the instructor’s task is to “re-imagine” the use of literary texts in combination with texts of other kinds to teach the academic writing skills of summary, analysis, critical thinking, building an argument, and integrating references. The approach DasBender advocates is to group the chosen texts – short stories, expository essays, and poems – around a single theme and to guide student writers towards connecting the ideas expressed in each. She outlines a working method of thinking through writing in which a series of writing exercises are combined into a final coherent paper – an approach similar to the “snapshot essay” method outlined by Cox and Tirabassi. It is worth noting that DasBender discusses the teaching strategies she uses to adapt the activity from first-language to second-language writers – strategies that underline the possibilities for adaptation of all of the contributions in this volume. Zuzana Tomaš (PhD candidate, University of Utah) teaches preservice teachers at the University of Utah and ESL at Westminster College, Salt Lake City. She conducts research in second language writing and teacher education and is a recipient of the Ruth Crymes Fellowship for Graduate Study and the Mary Finocchiaro Award for Excellence in Pedagogical Materials. Most notably, Tomaš is an Olympian who represented her native Slovakia in the marathon race at the 2008 Beijing Olympics. Zuzana Tomaš, in “Paraphrase Integration Task: Increasing Authenticity of Practice in Using Academic Sources,” raises a perennial problem in source-based writing by student writers, especially (she suggests) students writing in a second language: plagiarism. Tomaš draws together the work of theorists in the field to discuss the various reasons, cultural and pedagogical, that plagiarism arises, and she draws on her own teaching and research experience to offer a developmental activity for a specific skill in academic writing: integrating paraphrases of source material into an original argument. Tomaš notes that there is a dearth of teaching material enabling students to practice this skill within an authentic context and so to develop the complex abilities required to properly incorporate other people’s work within one’s own. Her paraphrase integration task, presented with a wealth of examples, seeks to bridge the gap between sentence-level exercises and the complex task of integrating multiple sources in a research paper. This is an activity that could be beneficial to first-language as well as second-language writers in the college/university classroom. Nahla Nola Bacha (PhD, University of Leicester) is an Associate Professor of Applied Linguistics/TESOL at the Lebanese American University (Lebanon), where she has administered and taught in the Academic English Program for over twenty years. She has published internationally in English for Academic and Professional Purposes, second language writing, and discourse analysis, and coauthored textbooks for the national Secondary English Curriculum. Currently, she is researching the role of ESL/EFL Programs in second/foreign language academic contexts. Working in an English composition classroom with Arabic speaking students in a Lebanese university, Nahla Nola Bacha, in her contribution, “Teaching Critique Writing: A Scaffolded Approach,” recounts how she teaches critique writing to develop first-year students’ critical thinking and awareness of text types.Bacha describes a staged teaching and learning process designed to provide scaffolding to help her students become independent learners. Their goal is to produce five-part essays based on contemporary critiques, working in small groups. In doing this, the students practice skills such as introducing a source, summarizing its main ideas, agreeing or disagreeing with those ideas, and using paraphrase and direct quotation to support their opinions. In an adaptive “bricoleur” use of technology, Bacha applies plagiarism detecting software not to check up on her students, but for the students themselves to evaluate the originality of their work and revise accordingly. Dan Melzer (BA University of Florida; PhD Florida State University) is an Associate Professor of English and the University Reading and Writing Coordinator at California State University, Sacramento, where he teaches and coordinates the Writing Across the Curriculum Program and acts as the campus representative on issues of reading and writing across the disciplines. Dan serves on the Editorial Board of Writing Spaces and is the News and Information Editor of The WAC Clearinghouse. He is also a Board member of the International Writing Centers Association and the Northern California Writing Centers Association. Dr. Melzer has published in a number of edited collections and in journals such as College Composition and Communication, Language and Learning Across the Disciplines, The WAC Journal, Kairos: A Journal of Rhetoric, Technology and Pedagogy. In his account, “Academic Discourse Mini-Ethnography,” of the academic ethnography project he developed for first-year and second year composition courses, Dan Melzer takes a social constructivist stance regarding students’ negotiation of and admission to the discourse communities and disciplines represented in colleges and universities. He maintains that the main goals of composition courses are two-fold: (1) to introduce students to the academic discourse communities that they are about to join and (2) to help them consider how academic discourses connect and conflict with their personal discourse communities and “self-sponsored literacies.” His solution is to ask the students to investigate as ethnographers the academic discourse communities that they aspire to join and to present their findings from texts, interviews, and surveys through class presentations and a final report. Melzer offers key pointers for success in a “complex and demanding” project: linking the assignment to a wider curriculum, giving it enough time, and providing a basis for deep understanding through reading and discussing model ethnographies. Melzer’s comments serve as a useful reminder that although activities can be adapted to a variety of teaching situations, there are usually practical constraints on such adaptations; and a transplanted activity needs to be fully integrated with the intended outcomes of a wider program of study in order to thrive. the Disciplines (Heinemann, Boynton-Cook, 2006), and author of The Nonfiction Novel (UPA, 1984). He has published on Irish and Gothic Studies in several anthologies, and in Postcolonial Text. Suzanne Hudd (PhD, Yale University) is an Associate Professor of Sociology at Quinnipiac University, where she teaches courses in social stratification and research methods and co-chairs the Writing Across the Curriculum Program with Robert Smart. She is currently engaged in a year-long sabbatical project, with funding from the American Sociological Association, in which she is researching the pedagogical goals and praxis of writing in sociology. Using Technology in Teaching (Yale University Press, 2005) and contributed to Direct from the Disciplines (Heinemann, Boynton-Cook, 2006). He also serves on the Editorial Board of The Learning Assistance Review, the journal of the National College Learning Center Association. In the second chapter in this section, “Using Writing Across the Curriculum Exercises to Teach Critical Thinking and Writing,” Robert Smart, Suzanne Hudd, and Andrew Delohery present a “concentric model” of critical thinking. This model postulates a hierarchy of linked cognitive tasks, moving from prioritization (deciding the order of importance of ideas), to translation (putting those ideas into one’s own words), and then to analogizing (comparing ideas from one source with those from another, including one’s own experience). This model is used as the basis for creating writing prompts for informal writing tasks, otherwise known as “writing-to-learn” (WTL) tasks. Such tasks are linked to the wider goals of a class, and can be used to provide a basis for working on longer formal papers within a specific discipline. In this chapter, Smart and colleagues show how this approach is applied in faculty workshops and in an upper-division class for sociology students. Their specific examples demonstrate how powerful the concentric thinking model can be as a basis for writing in the disciplines, and also how it can be adapted to different contexts in which critical thinking and mastery of academic discourse are required. Sky Marsen is a Senior Lecturer in Linguistics and Communication at Victoria University of Wellington, New Zealand. Marsen, who has a background in Linguistics, Comparative Literature, Cognitive Science, and Information and Communication Studies, has previously published Professional Writing: The Complete Guide for Business, Industry and IT (Palgrave, 2nd Edition, 2007); Communication Studies (Palgrave, 2006); and Narrative Dimensions of Philosophy: A Semiotic Exploration in the Work of Merleau-Ponty, Kierkegaard and Austin (Palgrave Macmillan, 2006). In addition to her academic work, she has advised on communication issues in professional contexts, notably as a project manager at IBM. In the next chapter, “Writing the ‘Professional’: A Model for Teaching Project Management in a Writing Course,” Sky Marsen presents an approach to instruction in professional writing derived from narrative theory. Marsen’s approach to writing instruction for professional purposes was developed in the university classroom with undergraduate students and has also been applied with professional and business clients. Marsen argues that narrative theory can be used not only as a means of explicating professional texts, but as a source of valuable concepts and strategies for writers. Countering the common and superficial view of writing instruction as a secondary and remedial activity in business and professions, Marsen positions writing as “part of a network of mutually reinforcing activities” in realizing any successful project. The author outlines a semester-long workshop course using narrative theory as a framework for discussing case studies such as the Challenger disaster and for teaching project management through text analysis and writing. Kate Kessler (PhD, Indiana University of Pennsylvania) is an Associate Professor in the School of Writing, Rhetoric, and Technical Communication at James Madison University. Before earning a PhD in Rhetoric and Linguistics, Kessler taught English at Chambersburg High School in Pennsylvania. Kessler has run the Marine Corps Marathon and has hiked the entire Appalachian Trail. In summer 2009 she taught her university’s Appalachian Trail Seminar, leading students on hikes along central Virginia’s Blue Ridge Mountains. Kate Kessler’s chapter, “Writing for an Authentic Audience,” links the aims of first-year composition with the rhetorical demands of writing for an authentic audience. She refers to the shift in writing pedagogy towards “post-process” writing, which embodies concern for product and rhetorical sensitivity to an audience, as prompting her decision to use real issues and real audiences with her writing students. As Kessler points out, these students are learning how to participate in public and civic discourse while discovering that effective writing can produce real outcomes. She cites “the call to write” – having something to say and using writing to say it – as a powerful motivator, and the examples she gives of student work and their comments on the course support this claim. “Post-process” does not, however, mean that process is absent: Kessler outlines a workshop sequence in which students draft and redraft their writing and move from a relatively simple text (a letter) to a more complex one (a proposal). Like other contributors to this volume, Kessler is aware of the importance of providing scaffolding for writing activities, and of the art of knowing when and how to provide it. Lisa Nazarenko (MA, Hunter College, City University of New York) is a Lecturer in the English Department of the University of Vienna and Lecturer and Didactic Advisor at the University of Applied Sciences Technikum Wien (Vienna). With academic background in TEFL, Nazarenko has taught EFL, ESP, and Academic English for over 20 years in the USA, the former USSR, Portugal, and Austria. Professional interests include writing, vocabulary, reading skills, and materials development in those areas. Gillian Schwarz (MA, University of Leeds) is a Senior Lecturer in the English Department of the University of Vienna. With academic background in English Language Teaching and Linguistics, Schwarz has taught EFL, ESP, and Academic English for over 20 years in England, Kuwait, Argentina, and Austria. Her professional interests are in the areas of curriculum and materials development, focusing particularly on writing and reading skills. Developing students’ reflectivity through guided self-assessment in every stage of a writing activity is the theme of Lisa Nazarenko and Gillian Schwarz’s chapter, “The Write Path: Guiding Writers to Self-Reliance.” Nazarenko and Schwarz regard such reflectivity as a key aspect of improving student writing and comment that can take some time to achieve. They present a set of activities they have used with second-language students in the second semester of a first-year university writing course, structured around writing an opinion essay. Key features of their teaching approach are guidelines for the assignment, model texts, hands-on interaction in the classroom, controlled prewriting, peer consultation and feedback, focused feedback from the instructor that mirrors the assignment guidelines, revision and redrafting, workshops and conferencing, and the use of structured reflection and feedback sheets throughout the process. The authors point out that, since the activity is broken down into clear steps, it is flexible and easy to adapt to different teaching situations and ability levels. They also point out that it is easier to address problems with student work at the prewriting stage than to fix them later – a point with which many instructors will doubtless concur. Robert T. Koch, Jr. (PhD, Indiana University of Pennsylvania) is an Assistant Professor of English and Director of the Center for Writing Excellence at the University of North Alabama. His doctoral work was in English Composition, and his scholarly interests include writing centers and reflective practice in the teaching of writing. Robert T. Koch, Jr., in “Conference-based Writing Assessment and Grading,” provides a detailed framework for an approach to assessment and grading that uses conferencing and marking sheets (rubrics) with first-year composition and basic writing students in the final week of a multi-week essay assignment. A student paper is compared to a clear set of grading criteria both by the instructor and the student in advance of a conference in which a grade is assigned on the basis of discussion. Students are expected to bring a copy of their essay, a reflective letter, and a one-page written grade justification to the conference. Koch argues that although the grade that is assigned is final for the paper, it is developmental for the student, based on the discussion in the conference of how the grading criteria were applied to the student’s work. Through this activity, which is repeated through the semester, students deepen their understanding of the characteristics of good academic writing and their awareness of their own strengths and weaknesses as writers. Comments from Koch’s students indicate that most appreciate their involvement in the grading process and the insights which it provides for reflection, revision, and further improvement. Sally Chandler (PhD, Wayne State University) teaches composition, digital rhetoric, and creative nonfiction at Kean University in Union, New Jersey. Her research interests include communication across difference, ethnographic and feminist methods for research and teaching, and digital literacies. 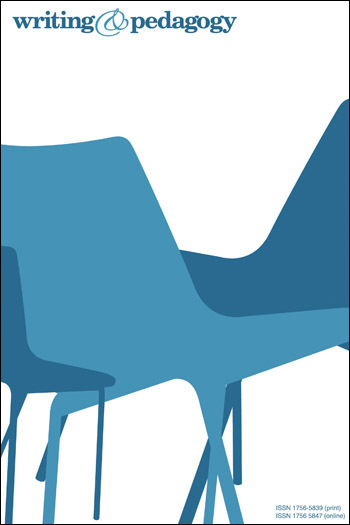 Recent work has appeared in Computers and Composition, Composition Studies, Oral History, Feminist Teacher, and in Digital Writing Research: Technologies, Methodologies, and Ethical Issues (2007). Mark Sutton (PhD, University of South Carolina) is an Assistant Professor of Writing at Kean University in Union, New Jersey, where he coordinates the College Composition program. His doctoral emphasis in English was on Composition and Rhetoric, and his research interests focus on pedagogy, particularly collaborative writing, basic writers, and professional development. He has published articles in Issues in Writing, LORE, Research and Practice in Developmental Education, and Composition Studies. Sally Chandler and Mark Sutton, in “Scavenger Hunt: A Model for Digital Composing Processes,” present an online Scavenger Hunt as a way to help students learn to manage composing in digital environments. Working with first-year university students, they use the Hunt as an early assignment both to develop students’ ability to utilize course management software and to socialize them into the skills and practices they will need in order to learn effectively in digital spaces. Chandler and Sutton describe a cluster of writing related activities in the Scavenger Hunt, such as reading critically, gathering information, giving and receiving feedback, and responding to writing prompts. They stress collaborative learning as a key part of this activity, since one of its intended learning outcomes is to encourage “thinking about writing as intimately tied to social processes.” This assignment continues to evolve as the authors respond to student behaviors and comments and to changes in the needs and abilities of students from year to year. Carter Winkle (MA, University of South Florida) is an English Language Instructor with a background in Applied Linguistics specializing in second-language composition at Miami Dade College. Additionally, Winkle is a guest lecturer of graduate and undergraduate ESOL endorsement courses for Barry University’s Adrian Dominican School of Education, where he is also working toward a PhD in Curriculum and Instruction. His research interests include second-language writing, formative assessment, and generative curriculum. Feedback on student writing using embedded digital audio files is the subject of Carter Winkle’s chapter, “Virtual Mediation: Audio Enhanced Feedback for Student Writing.” Writing from a background of research and teaching among second-language students in the United States, Winkle argues that this form of feedback can be matched to students’ specific level and needs, thus providing customized assistance for individual learners. Knowing the individual student, the instructor can provide appropriate feedback on writing, offering dynamic, interactive assessment through online, virtual mediation for the student’s own revision. Winkle does not see this method as a substitute for conferencing but as a practical and effective solution for distance learning and teaching situations such as his own, in which face-to-face meetings are not always possible. Winkle gives clear instructions so that even the most non-technologically savvy of readers could implement the virtual mediation method with ease. He also notes that the approach can be effective with first-language as well as second-language writers. One of the most valuable aspects of using new technology in teaching writing is the opportunity afforded for collaborative work, especially through the medium of social networking software. In the final chapter in the book, “Academic Writing in the Foreign Language Class: Wikis and Chats at Work,” Ana Oskoz and Idoia Elola argue persuasively for the value of collaborative writing in developing reflective thinking, improved accuracy, and shared knowledge of language use, among both first-language and second language writers. Describing the acquisition of academic writing skills solely through individual study as a “daunting and solitary task,” they present their use of wikis and blogs as a tool to help students in an advanced university-level Spanish class write more effectively in an academic context using their second language. As Oskoz and Elola point out, however, collaborative writing does not supersede the value of individual writing in preparing for the world of work and developing independent thinking.